With all due respect, what you’re about to read has absolutely nothing to do with Jacques Vallee’s excellent book by the same name, and is not in any way related to our being socially manipulated by extraterrestrial or interdimensional beings with their own hidden agendas. The manipulation you are about to uncover is far more insidious in every way than aliens potentially planning to invade and conquer the earth. Right from the start, it’s important to acknowledge that TV is primarily a medium of entertainment and little else. Of course there is news, which for the most part these days is all about ratings and follows the simple motto, “If it bleeds it leads”, which is why the first several stories of all daily news shows, whether on a broadcast network or on cable, are about violence and death. We have truly become the purveyors and voyeurs of daily doses of dystopian morbidity, from music and video games to television and movies, it’s all about gorging on blood and gore. The media has glorified and normalized violence, death and destruction, where murderous acts are looked upon as little more than another way to increase the ratings of a news show. Where horrific images are replayed and rerun over and over again to keep us fixated upon the lowest common denominator………our fight or flight response (fear). And yet we wonder why more and more young people are acquiring assault quality weapons and slaughtering each other and themselves? What a surprise? How many coincidences make a fact? Remember several months ago when some bored teenagers went out and shot a famous baseball player to death? If this level of murderous insanity prevails, our culture will descend into a the realm of Middle Eastern countries, where no one will ever be safe again. What a shock, this degree of violence is now a normal part of our society! We’ve met the enemy and it’s us! Most people already suspect that our once-trust trusted news shows exaggerate, embellish, distort, manipulate and hype many of their stories strictly for ratings, where they re-run the most violent events over and over again, to make sure that we never forget the level of insanity now controlling our entertainment media. Some years back, one of the local network affiliate news shows began each broadcast with the following words: “death, destruction, mayhem, violence and murder” to attract a broader segment of the viewing audience. They attracted more attention all right. So much so that they received tens of thousands of complaints and then removed it. If we can no longer trust the news to convey accurate and non-biased information to us anymore, why should anything on TV try to be any different? The term reality has taken on a totally new meaning in the early 21st century; death and deception for dollars. How many of you out there know where the term “news” comes from? One belief is that it comes from North, East, West and South, a.k.a, the NEWS. The most obvious and disturbing form of disinformation comes to us in the form of reality shows of every type imaginable. 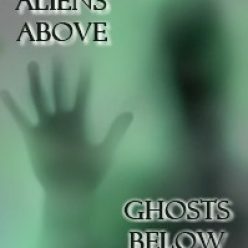 From dating, to survival, to crazy housewives, to following self-absorbed, pseudo-celebrities all the way to chasing ghosts, spirits, demons and aliens. If one digs deep enough into even the most seemingly normal, benign, non-paranormal reality shows, they soon discover that most, if not all, of the so-called reality genre is anything but real. Where every event, every action and almost every line of dialog is well scripted and choreographed. Realty shows cannot just sit back and wait for their desired result to transpire, so they simply fabricate it. I’ve met many people who’ve worked in production on various non-paranormal reality shows and they’ve all said that same thing. Nothing on them is real, If “smack down” wrestling was as real as it appears, the lethality rate would be enormous, where we’d actually be watching people kill each other on live TV. To even the most skeptical, these manic wrestling shows are very carefully choreographed, or they would have been banned from TV long ago due tot he mortality rate. And of course there are the occasional accidents and injuries, but even well-crafted stunts occasionally go wrong once in a while. Bottom line here is that all reality shows are fraudulent, some very near criminal in their nature, in which they’ve forced their participants into signing totally outrageous contracts which prohibit them from ever revealing the truth behind said show. Many production companies producing reality shows have been frequently sued for libel, slander, defamation of character and misrepresentation. So these production companies developed the most insane release forms ever conceived. But as many of the participants are so desperate to see their 15 minutes of fame, they’d sign their life away without giving it second thought. Descending to the very bottom of the barrel here, let’s focus only on the totally fraudulent domain of paranormal reality, or as my very intelligent and most articulate friend and colleague Loyd Auerbach and I refer to them, paranormal “unreality” shows. If you’re producing a paranormal reality show where something paranormal must occur during every episode, perhaps even several times per segment, you have a serious logistics problem on your hands, don’t you? You cannot simply have talking heads on camera for forty- one minutes out of every hour, or your ratings be as remote as your chances of encountering real paranormal phenomena are. Therefore, if one wants their reality show to get ratings worthy of renewal, one must do one of four things; a) fake paranormal events. b) populate the show with such colorful or outlandish individuals that they’re weekly rantings serve the same purpose as observing real phenomena would, c) dramatically exaggerate and embellish whatever really does occur to make it appear more important than it really is, or d) all the above. Long before the air was littered with such unreal shows, I was approached by the creator of one of the first (whose name will remain absent as I do not wish to promote this clown in any way). Years ago, when we first met, I made it very clear to him what the true reality was regarding investigating such paranormal events was like. His reply was simple and straightforward. Each episode of his show would fake such occurrences, and on the very rare occasion when they actually encountered demonstrable paranormal events, they would make it appear as if it were a hoax. Compelling reverse logic indeed, but not for me. I made it clear to this producer (who already had a well established track record by the way), that his thinking was certainly novel and provocative, but his show idea was nothing I could ever be associated with as it would be a blatant fraud. I shook has hand and walked out. About six weeks later, I once again met with this producer along with one of my colleagues at the time, and he again made his pitch. But now, to the both of us. We both shook our heads in unison to the negative as we were not even vaguely interested in his offer. The most disturbing aspect of all these shows are that they’re doing a tremendous disservice and injustice to academic, scientific researchers within parapsychology by misinforming the public as to the real nature of these types of events, which in reality are not as frequent or intense as erroneously depicted in these juvenile, ludicrous entertainment shows. If paranormal events were as consistently reliable as seen in these “unreality” shows, they wouldn’t be referred to as paranormal, as we’d already understand what they are, how they operate and why they occur. Trust me on this, no one on earth really knows what’s going on with such otherworldly events, which is why they’re referred to as phenomena. The primary reason that these shows follow the same intrinsic formula is that they are feeding a population that is totally ignorant as to what’s real in the paranormal world, let alone within science in general. It’s very easy to fool and manipulate large audiences if they are unaware of the facts regarding a specific subject. And when it comes to the paranormal, this applies to probably 99.99% of the population. In the end, one must remember that all these shows are nothing more than Entertainment For the Ignorant Masses, or what I now refer to as “EFIM”. Now try and pronounce this acronym as if it was a real word with a soft “E”, and you’ll fully grasp what I’m getting at here. It sounds like profanity, doesn’t it. Yep, that’s what I think of them. All too frequently, amateur paranormal investigators venture forth on their own attempting to emulate what they’ve seen on these shows. The results of such copycat investigators is often nothing more than sheer fantasy and misinterpreting very normal, everyday events as something paranormal. An interesting note here is that several of us (parapsychologists) have been officially banned from ever appearing on one particular cable network for consistently refusing to lie to the public on their behalf. If you read enough of my blogs, you’ll immediately recognize what the network I speak of here. With the exception of myself, the names of the three other gentlemen forbidden from appearing on this network will not be disclosed in order to protect their innocence and privacy. My relationship with the SyFy Network who I now refer to as the Psi Lie Network as they cannot tell the truth about anything paranormal, has now degenerated to the point where one of their production companies, RAW TV (in the UK) actually offered to overtly defame, misrepresent, publicly discredit, humiliate, embarrass, libel and slander me for the paltry sum of $750 if I appeared on their show, Paranormal Witness in 2012. When I first read their contract I was totally stunned by what it said, as was my agent. We asked them to remove the threatening clauses related to such and they refused. In fact, they were adamant about that if I signed their agreement, I would not be allowed to show their contract to anyone or even discuss it with associates, attorneys, agents or even friends. Can’t imagine why? They were even very upset that I showed to my agent. But as I had not yet signed it, I wasn’t legally bound by their demand. Adding more fool to the fire was a provision in the contract clearly stating that even after their scandalous misrepresentation of me was complete, I would not be allowed to even mention their misinformative deception and criminal nature to the media or they could sue me, but I could not sue them for defamation of character, liable and slander. Are these people insane or just criminals preying on gullible and naive people desperate to be on TV for all the wrong reasons? The perfect contract, can’t imagine why I didn’t sign it? It would have literally been a deal with the devil! Actually, I should have asked them to add four to fives zero to the amount they offered me, write it up as damages, and then I could change my name and move? Yeah, right? Wow, and I thought that I’d previously heard the most absurd offer ever? Guess I was wrong? And all this to continue their disinformational campaign, specifically intended to increase the network’s ratings by consistently lying to the public by creating scandal and controversy. Needless to say, I did not sign any contract or any form of release with these miscreants, and warned them that if they used my name, voice, image or likeness, or even if I was referred to for any purpose whatsoever on that show, that they would end up in court. Since that event, I have come to learn that many production companies now use very similar release forms to avoid being sued, and there are always people who just don’t give a damn as to what it takes to appear on television. When that episode aired in 2012, neither Jeff Wheatcraft or I appeared in the show, and for good reason. And as usual, they grossly misrepresented the case in question. Embellishing, exaggerating, distorting and simply lying, just to make the case appear to be much more than it really was. The end result was a mishmash of stupidity, ignorance and lack of creativity. Given the amount of video evidence on the case available to them, it was amazing how they went out of their way to turn gold into lead. But I guess that uncreative, stupid, malicious and evil people make great alchemists? After that, I foolishly assumed that my problems with Paranormal Witness and SyFy had ended. I could not have been more in error. In April of 2013, an episode of Paranormal Witness aired entitled, “The Manson Curse” (Season 3, Episode 7), which dealt with a case on Cielo Drive in northern Beverly Hills within Benedict Canyon that I investigated from July 2005 through June of 2006. You can read the details of this case, which were almost totally fabricated and misrepresented in another blog on this website entitled, “Cielo Drive Convergence: The Ultimate Filed Laboratory”. I didn’t watch the show when it first aired as it’s very difficult to stomach such disgustingly deceptive shows, but I did manage to record it off TV when it was rerun in late summer of 2013 as I was interested to see how much truth, if any, was present in 41 minutes. What I saw literally floored me for the first time in my life. Towards the end of that episode, a video was playing of a séance conducted at the Cielo Drive location in late winter of 2006. I vividly recall that event because I was in attendance for it. But what utterly shocked me was that I suddenly saw my face and body on-screen during this event, which was being videotaped by a new casual acquaintance I made the prior year. Wait a minute, there’s something really wrong here. I never signed a release with, or for, the man who shot that video. Nor did I sign a release with Paranormal Witness and/or SyFy. Why then was footage of me allowed to air on Paranormal Witness? Over the last 44 years I’ve appeared on hundreds, if not thousands, of TV shows regarding my research. From network news shows to talks shows. From documentaries airing on cable networks, to interviews appearing on various local network news affiliates, and of course occasional paranormal reality shows, (most of those turned out quite poorly in the end by the way). Other than news shows that do not pay you, every other type of show did compensate me for my time and contribution to the show. However, the one thing that every single show had in common was that I was required to sign a release in order for that show to air footage of me, even news broadcasts. In fact, the very first thing a production company usually does when you show up for a shoot, is to have you sign a release form. That is standard operating procedure in the industry. Or at least it used to be. Apparently, SyFy’s Paranormal Witness has now decided to arbitrarily change the law or the standard, in that they never even approached me regarding their intent to air footage of me on their April, 2013 “Manson Curse” episode. However, given my pre-existing dysfunctional relationship with Paranormal Witness and SyFy, they wouldn’t have dared approach me for they knew what my response would have been. NO! But what did surprise me, was the reaction my attorney and I experienced when we recently contacted their attorney, Russell Smith, to inform him of what his clients did. As opposed to offering me some type of financial settlement for their illegal use of my image in their show, Mr. Smith basically told me to go to hell and that if I bothered him or Paranormal Witness again on this matter that they would sue me for harassment. What? They’re the perpetrators of a crime against me and they’re now telling me that they’ll sue me if I pursue this matter? Isn’t this an instance of the pot calling the kettle black? Smith’s attitude was very condescending, for he knew that most attorneys would not dare touch a case like this, as it might require a great investment of time and money to legally pursue the matter, and whatever monetary compensation was recovered would be negligible and not worth the time and money put into it. This is the reason why these types of shows resort to this illegal mechanism, for they know, in the end, that most people do not have the financial resources to legally pursue them and no one will come to their legal assistance on such matters. And if one takes them to small claims court, they frequently do not even show up, where a default judgment against them is imposed. But then you must hire an attorney or any investigator to locate their financial resources and you’re right back to square one again. And as RAW TV is in the UK as opposed to the USA, such legal efforts would be very costly indeed. This is but the tip of a very large iceberg, where more and more production companies will produce such deceptively, misinformative trash and continue using such nefarious methods to break the law, for they know that they can act with impunity here and suffer no losses because of it. We must all take a stand and draw a line in the sand now, or all of our rights in such matter will forever be lost. If you want to ensure that these types of events do not continue to occur, please contact Russell Smith, Paranormal Witness, SyFy and their parent company NBC, to let all of them know that such illegal practices will no longer be tolerated by anyone for any reason. The law, justice and the truth is on our side here, and if we do not stand up for our rights, they will forever disappear and pass into history. Perhaps it’s time to boycott Paranormal Witness and SyFy, if not the entire paranormal reality genre? Let such begin here and now.